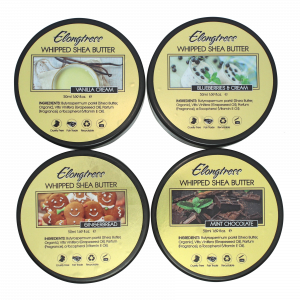 The absolute best quality ingredients are used in producing Elongtress Whipped Shea Butter including Butyrospermum Parkii (Shea Butter, Organic & Unrefined), Vitis Vinifera (Grapeseed Oil), Parfum (Fragrance), a-Tocopherol (Vitamin E Oil). 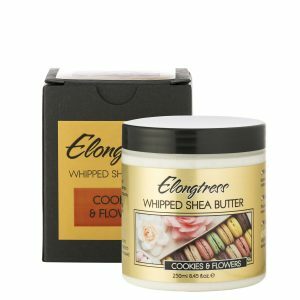 The pure Elongtress whipped Shea butter cream is made with 100% natural ingredients and it is so safe that you can use it daily as a normal moisturizer! The creamy skin moisturizer gets hand whipped with grapeseed oil and it is free of hazardous chemicals and harmful additives. 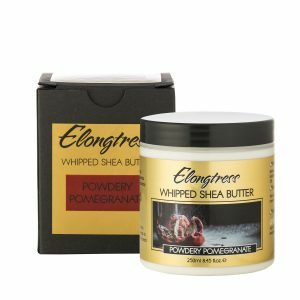 So you can use the natural Shea butter daily without any worries!